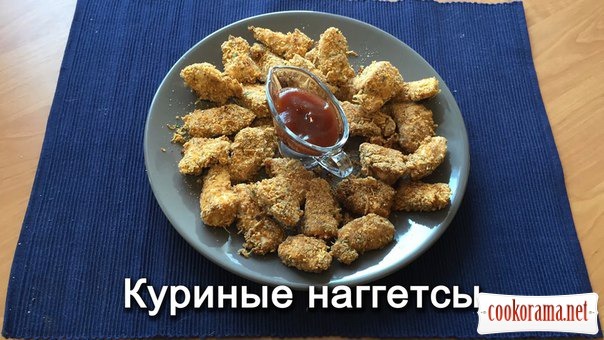 nuggets fast-food – preparation method and composition. We will find a solution as to the method of cooking is frying in oil, we will use the oven and the whole, which we select ourselves. Vvyvod: to prepare the nuggets better on their own at home. In addition, the nuggets are prepared very simply. 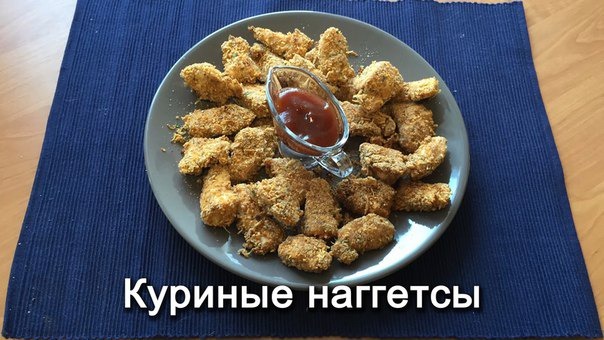 The finished nuggets can be submitted, and as a main dish, as a snack. Mix the breadcrumbs with finely grated hard cheese and herbs. Whisk egg until smooth. Chicken meat cut into thin oblong slices across the grain. Alternately dip the meat in egg and breadcrumbs. Put in oven for 10 minutes 180 degrees. Serve with sauces and enjoy the nuggets with your friends!! !